I know what you’re thinking—temperatures in October have been summer-like all over California, let alone the rest of the country, as dire climate warnings continue to land with a thud on the President’s desk. And a day after the United Nations issued its most fervent call to arms yet for the international community to confront the threat of global warming, President Trump boarded Air Force One for Florida—a state that is bracing for a hurricane that could bring 150mph winds this week—and said nothing about it. All of this is true and yet, one way or another, some type of fall will come. Temperatures will eventually drop—tank-tops will be swapped for flannels, sundresses will go and sweaters will come, and you’ll be looking for a cocktail with a different, more robust sensibility. 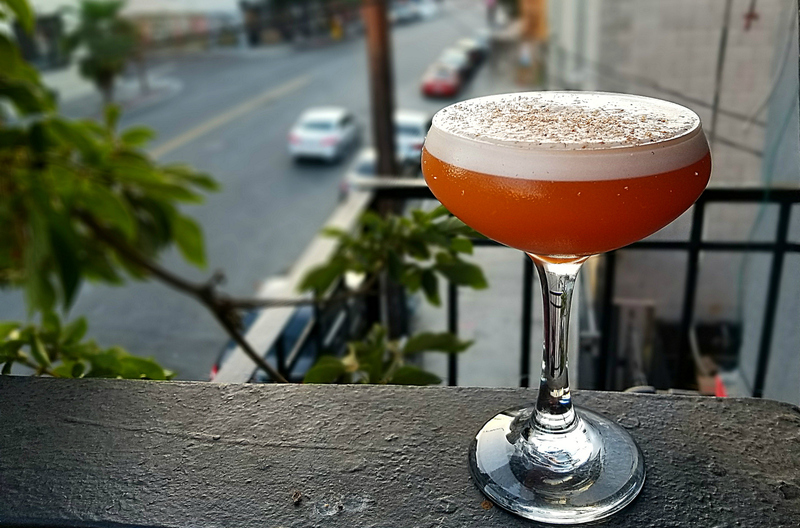 “Fall is the time of the year where we switch from imbibing clear spirits like gin, rum, and tequila, to our brown spirits like bourbon, brandy, and Scotch,” says Tobin Shea, the bar manager at Redbird in downtown L.A. With this in mind, the editors here at Blue Lifestyle have compiled a list of five L.A. bartender’s favorite cocktail recipes so you can surprise your next dinner guests or shake one up for yourself on a chilly evening this holiday season. Dry shake ingredients until combined and egg white is frothy. Add ice and hard shake, to chill. Double strain into coupe glass. Garnish with fresh grated nutmeg and Himalayan sea salt. Roll in tin with ice, dump into glass and top with tonic; garnish with thyme sprig. Build drink in an old fashioned glass or tumbler. Add ice and stir for 30 seconds. Spritz with the oils from an orange peel and use peel and sage additional leaves to garnish. Stir the ingredients together with ice and serve; garnish with a thin slice of dehydrated citrus. Use cinnamon for garnish; combine all ingredients and serve warm. Next PostI Eat Mushrooms, Ergo I am Healthy?